Brazilian Jiu Jitsu is changing the lives of people all over the world daily. It's unique approach at self-defense has been proven effective countless times. Through submissions and manipulation of leverage, it allows the student to deal with bigger stronger opponents. The power this martial art has over the mind, body, and soul is what makes it so appealing to the masses. 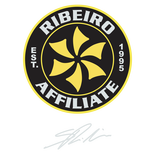 Our mission at Ribeiro La Mesa is to empower our students with the knowledge and training that embodies Ribeiro Jiu Jitsu. Our goal is to feed the spirit as well as the body. We seek out others who share the core values of Ribeiro Jiu-Jitsu: Family, Respect, Loyalty, Discipline, Attitude & Honor; so that we may grow strong not only as a school but as a family. So whether you are looking to get in shape, learn self-defense, or just want to challenge yourself, Ribeiro La Mesa is for you! Come be a part of our extended worldwide family!